The BIGGEST EVER North Atlantic Seafood Forum March 3.-5. Bergen, Norway! 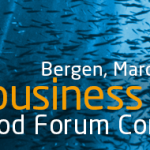 The International Seafood Industry Conference North Atlantic Seafood Forum will be held for the 11th time in Bergen, Norway March 1.-3. 2016. The North Atlantic Seafood Forum (NASF) is the world’s largest seafood conference and a leading top executive meeting place. NASF attracts almost 1.000 executives from over 350 companies in almost 40 countries from the global fishing and seafood industry this year. At the 11TH NASF, you can explore cutting edge innovation, research, sustainability, policy, trade, and capital markets issues, all in the same venue. The NASF arena has focus on business, future trends and market developments. NASF is a broad annual industry event covering all major facets of the seafood sectors. It focuses on the key network between cutting edge innovation, technology, research, policy, finance, trade and commercialization. Around 100 speakers give their market assessments and forecasts in 10 seminars and share their insights into vital developments forming the future of the seafood industry. The 11TH conference in 2016 is an excellent opportunity to meet and interact with the leading world seafood operators, and other key players, along with financial institutions from the world’s largest seafood capital market, all in the same venue. • Connect with leading seafood companies in the world. Posted in Seafood and tagged Aquaculture, Atlantic, conference, Fishing, Industry, NASF, Norway, Processing, Seafood.